Recently, I had the opportunity to represent PGi at the American Association of Inside Sales Professionals (AA-ISP) Leadership Summit in Chicago. The title of my presentation was “Evolve or Die: How to Survive and Thrive in the Changing Sales Landscape”. You can check out my the slideshare of my presentation above. In this post, I’ll share some of the key themes I discussed at the conference. Overall, the role of a sales professional is dramatically changing. The “good old days” of dialing for dollars is over. Today, only 2% of cold calls result in an appointment. So, if you’re hoping your “dial days” will result in some big deals, you’re going to be very disappointed. Sales people today have to accept a basic truth: Your prospects really just aren’t that into you. They don’t want you calling or email them. When they’re ready to talk to you, they will reach out. Your prospects just aren’t that into you. 1) Despite record earnings, businesses aren’t necessarily growing (minus a few Silicon Valley outliers). Business are focused on cutting costs and saving their way to these strong earnings. 2) Competition in every industry is more fierce than ever. 3) Managers are constantly being asked to do more with less. These three trends create a tough environment for your prospects. And chances are, you sell products or services that can probably help them in many ways. Here are the six ways sales organizations should think about evolving to survive and thrive in the changing business landscape. Research shows that prospects are about 70% of the way through the purchase process before they to engage a sales rep. So, the question you have to ask yourself is “what are they doing that 70% of the time?” Well, according to a study by Google and Complete, the vast majority are doing online research. That means your new frontline reps are actually Google and your website. By the time your prospects pick up the phone, they are well informed about your products and your competitor’s products. Many times, a prospect will call in to our reps and say, “I’m on your website right now and looking at your different pricing plans”. Meet your new sales rep, your website. As a sales rep, it’s critical that you’re very familiar with all the content on your website and your competitor’s websites. When you talk to prospects, you don’t have to spend a lot of time educating them on who you are. You have to sell them on why you’re different, better and worth it. Having prospects engaged with your website is actually a very good thing. At PGi, we use marketing automation tools that track what customers are doing on our website. We can see how many times they visited the site, how many pages they viewed and what content they downloaded. For a sales rep, this gives you a real advantage because you can have conversation based on the sections of the website your prospect visited. For example, if your prospect spent a lot of time on the pricing page, you know he’s probably looking at pricing for the competition as well. So, when you have the discussion, you’ll be ready to show how your pricing is better than the competition. Prospects today are more educated and savvy than ever before. As sales pros, we have to up our game and be ready to have better conversations that will lead to a sale. In many organizations, there’s a lot of tension between sales and other departments (usually marketing). Sales reps are the “rainmakers” and everyone else is just doing busy work. Sales reps will actually call other departments the “SPD” – Sales Prevention Department. Are you in the Sales Prevention Department? But, in the new sales landscape, sales people have to be more collaborative with other departments. When I worked in marketing at AutoTrader.com, we had 800 sales reps out in the field. As the B2B marketing team charged with enabling the sales force, we knew that we would only be successful if our sales reps were successful. And we knew we couldn’t do it without their help. So, we formed a sales advisory board to help the marketing team better enable to field. This advisory board came in once a quarter and we had 3-day work sessions on messaging, collateral, presentations and much more. In the end, we produced all-new sales materials that were designed “for the field, by the field”. These sales materials were widely adopted throughout the sales force and helped improve the relationship between sales and marketing. Rather than the “Sales Prevention Department”, they started calling marketing the “Sales Productivity Department”. You can read more about our sales advisory board here. “Always Be Closing” (or ABC for short). That’s a saying that many sales reps are very familiar with. But, the old school methods of hard selling really don’t work well in this day and age. Prospects have too much access to information. They’re too savvy. They don’t want to be pushed. They’ll buy on their own schedule. When I worked at AutoTrader, we did a lot of trade shows and we had very aggressive sales reps work the booth. The reps would just stand on the edge of the aisles, grab prospects and drag them into our booth. They would then hard sell them to buy now. I actually head a rep say, “If you walk out of this booth, that deal is walking with you.” Needless to say, it wasn’t the best experience for our customers. But, we did generate a lot of revenue at these shows. So, hard selling works right? Well, we took a look at the business we generated at our biggest show of the year. We sold over $1 million. But, then we looked to see what happened to that business six months later. What we saw was that most of that business had churned. It was lost. What happened was that the prospects agreed to buy the product and signed the deal just so we would leave them alone. But, as soon as they got back home, they called up to cancel. So, the next year at the same show, we changed our strategy. We decided NOT to sell. That’s right, no selling. We didn’t even bring contracts to the booth. It was a tough thing to stand in front of 40 sales people and tell them they could not sell our products. Instead, we wanted them to consult with their prospects. We armed them with reports and analytics to help their prospects better understand their market and how their dealership is performing in that market versus the competition. When the show started, dealers cautiously approached our booth expecting the hard sell treatment they had become accustomed to. But, instead they were greeted and asked if they wanted to see a scorecard of their dealership performance and market insights to help them improve results. Several dealers entered the booth and sat down with the rep. Two hours later, they walked out of the both after having a highly productive conversation. As dealers started to hear about the consulting we were offering, more and more came by the booth. Before we knew it, every seat was taken and there was a long line of customers waiting for their scorecard. By the end of the show, we met with hundreds of customers and received huge accolades for the insights we provided. And the best part, we actually sold just as much at this show, where we didn’t try to sell, as the previous show were we tried to sell. And, this time around the business stuck. It goes to show you that “Always Be Closing” doesn’t work. Maybe we should change that acronym to “Always Be Consulting”? But, in the new sales landscape, you may want to rethink they types of reps you hire. 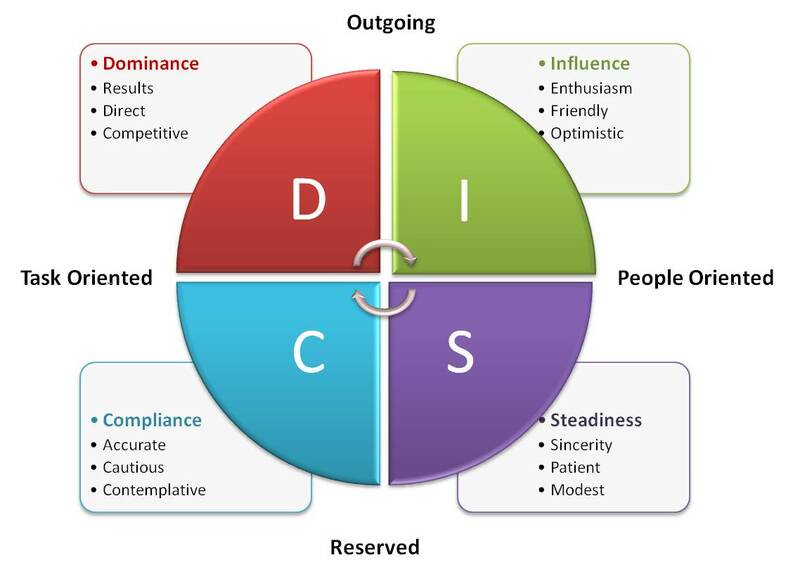 For my four person sales team at PGi, we did a personality test called the DISC assessment. As expected, three of the sales reps were placed in the “I” quadrant which means they are extremely outgoing and people oriented. But, one rep was placed in the “C” quadrant meaning he’s more reserved and task oriented. The DISC Assessment. What quadrant makes the best sales rep? Guess who was the top performing rep? The rep in the “C” quadrant. Why? Because he is the best listener. Listening to your customers is key. When I attended the AA-ISP conference, everyone was talking about “listening skills training”. People who are in the “I” quadrant are often not the best listeners. They’re outgoing. They love to talk. When you’re talking, they’re thinking about what they’re going to say next and can’t wait to cut you off. They really need the listening skills training. But, the people in the “I” quadrant are naturally great listeners. That’s how they are wired. And in this new sales landscape where customers are getting highly informed, being a great listener could be the most valuable skill a sales person could have. So, the next time you’re interviewing candidates for a sales position, maybe consider the more quiet ones. They could become your best sellers. Companies spend big money to find quality prospects. The cost to do all the advertising, content marketing, trade shows, list buying and email programs can really add up. Then it’s up to the sales rep to get the appointment which also can be challenging. But finally, you get the meeting on the books. Now, in the perfect world, you’d always be face-to-face for the meeting. But, that’s usually not realistic. So what happens? You end up relying on the good old telephone to make your pitch. You’re betting your bonus on technology that was built in the late 1800s. The reality is, the telephone is not good enough in today’s world. Studies show that 85% of communication is non-verbal. So, if you can’t see your prospect and your prospect can’t see you, you’ll both be missing something. 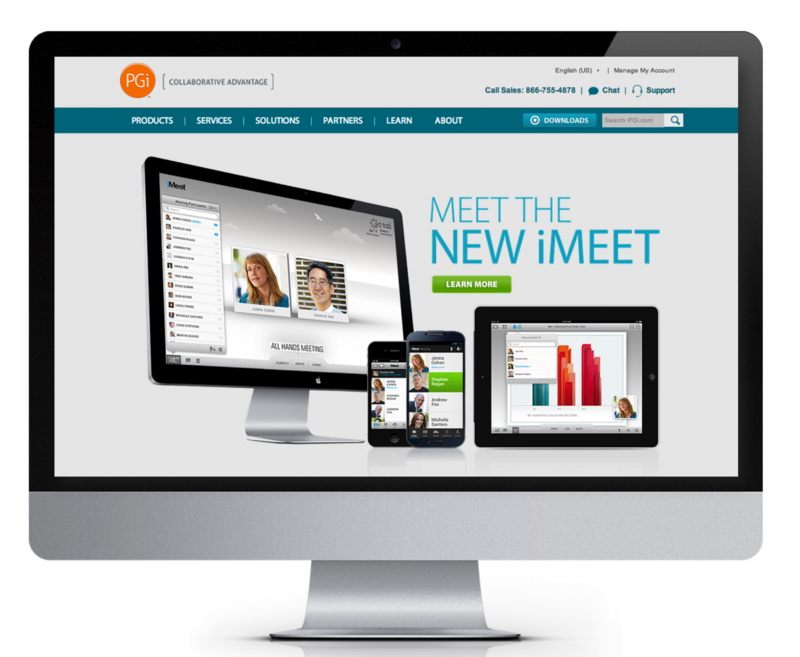 At PGi, we sell a product called iMeet, an online meeting product that includes video. And we have a lot of success selling iMeet because we’re able to more effectively connect with our prospects during the meeting. A study by the Aberdeen Group showed that sales teams using video to do meetings generate 156% higher revenue than sales teams just relying on the phone. And, a study by the University of Minnesota showed that online meetings are 30% shorter than meetings on the phone. So, you generate more revenue in less time. And really who doesn’t want that? Also, using online meeting tools, you can record the meeting with the prospect and send it to them afterwards so they can distribute it to stakeholders who couldn’t attend. My sales team actually uses the meeting recording feature in iMeet to record mini sales presentations that they send to prospects. Some will also record video “thank you” messages as a post-meeting follow up that they send along with the meeting notes. All of the videos recorded in iMeet are embedded in a website and you access them with a simple link. It’s incredibly easy for prospects to view the video and share with other people in the company. You can see a demo of how this works below. If you’re organization is only using the phone to sell, consider trying out an online meeting tool. You can sign up for a free trial of iMeet at iMeet.PGi.com. Is your comp plan driving your reps crazy? In a traditional sales organization, if you sell more, you earn more. And that’s the way it should be. But, sometimes comp plans make good people do crazy things. In a previous job, I saw a sales rep harass a customer to the point where they almost got into a fistfight. Why? Because the sales rep needed that deal to win the award trip and was obsessed with getting it done. In the process, he critically damaged the relationship between that customer and the company. In a recent focus group with customers, the moderator asked the participants “What makes a good sales rep”? One of the people in the focus group replied, “I want a rep who’s more interested in my business than his business”. I thought that was an excellent statement. The truth is, your prospects don’t care about your comp plan. They don’t care that you need to get a contract in by the 31st of the month to qualify for an award trip. The sales reps that will win in the long term, will be the ones who focus more on customer success and less on their personal gains. They be the ones who sell through service, rather than by brute force. The question is, how do you incentivize the kind of behavior that focuses on customer success? Well, there are a lot of data points you can add to a compensation plan that can help. For example, at AutoTrader, we did customer satisfaction surveys every quarter. Part of a sales rep’s compensation was based on those surveys. So, reps were very focused on creating satisfied customers rather than just selling. As a result, customers were getting a much higher level of service and over time that led to more sales for those reps.
That’s just one idea to evolve your comp plan that creates a win-win for both your customer and your sales reps.
Those are some thoughts on ways sales organizations can evolve to survive and thrive in the new sales landscape. How is your sales organization evolving? Let me know on Twitter at @jeffperkins8. If you want to learn more about the evolution of sales, you can also download this great eBook by PGi – The Sales Survival Guide.